Looking to sell this beast to fund camera gear. Great condition bass with tobacco sunburst finish, sounds amazing, comes with original hard shell case with purple lining. The bass has three separate control knobs; one for volume, one for bass boost and one for treble boost, and a single humbucking pick up. The neck is maple with a single walnut lamination. Its Just like the one on the right in below picture. 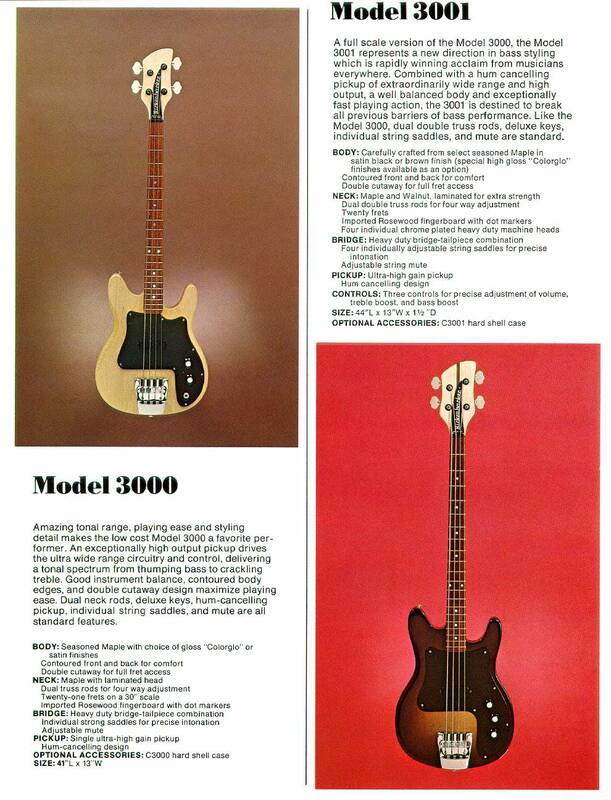 I got the pic off their website, My bass is identical to the 3001 they show.